The lifting of the sanctions against Eritrea by the United Nations Security Council was seen as a reward for rapprochements with neighbouring countries and a vindication of the allegations of supporting radical terrorist groups in Somalia. The UN decision was positively responded to by the African Union and Western nations, the latter of which have been instrumental to having the sanctions lifted. But none are happier than the government of Ethiopia, which had in effect lobbied for it and has now turned 180 degrees from its policy of the past. 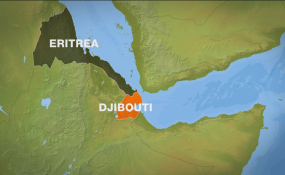 Although past administrations have shown willingness to extend an olive branch to Eritrea's government, none have walked the talk on the major point of contention between the two countries - the UN Border Commission's ruling that Ethiopia must concede the town of Badme to Eritrea. Indeed, there are positive aspects to this. Some wonder if this will make Eritrea more likely to undertake political reforms as well as play a positive role in the Horn region. This is on top of the nation being more willing to play ball with the various vested interests in the region. But some other aspects of the lifting of sanctions need not be forgotten. Issayas Afeworki's regime has not been democratic. The rewards extended to it now do not come out of any indication that the government is willing to be inclusive politically, allow the private sector to thrive, lift mandatory military service or become transparent. The welcome back mat for the Eritrean government upon returning from hermit kingdom status has been rolled out for purposes that do not correspond to the upholding of democracy. It seems to be a consequence of geopolitical interests. For Eritreans, not much would change except opportunities to be visited by family members estranged after relations with Ethiopia deteriorated. The restoration of trade with Ethiopia may have some effect on Eritreans as would an influx of tourists. Other than that though, life continues in much the same manner as it has for the past two decades. What is unfortunate is the response to the lifting of sanctions on this side of the Mareb River. There are barely any voices stressing that the rapprochement is having little impact on Eritreans. Ethiopians have continued to display the image of Issayas side by side with that of Abiy. Whatever the shortcomings of the latter may be, he has shown a willingness to make the nation politically and economically inclusive. Issayas's popularity here though comes from the mere fact that he made peace with Ethiopia and the perception that he supports reforms and is working to counter the old TPLF guard. Few seem to have been affected by the fact that, even relative to Ethiopia, the standard of living in Eritrea is much lower. The level of migration from the country is a prime indicator of the economic disenfranchisement of the majority of Eritreans. The fact that there has never been a general election in the country or that the People's Front for Democracy & Justice (PFDJ) in Eritrea is the sole legal party, speaks to the level of a lack of democratic rights, again, even by the standards of Ethiopia. Ethiopians should have the moral courage to request a similar initiative to institutionalise power in Eritrea. Of course, for a nation that has not matured democratically itself, this may seem like an overeach. If the likelihood that Issayas would listen to the Ethiopian government is nil, and that the Eritrean government may in the future contribute positively to one of the most underdeveloped and chaotic regions in the world, some would ask, "then why risk it? Why call for political reforms in Eritrea now?" Indeed, there is no denying that even if Abiy's administration has such lofty dreams of exporting reforms to Eritrea, there should be a political balancing act. At a time when smooth relations between the two countries is in its infancy, it would be the height of naivety to expect Ethiopia's government call out its Eritrean counterpart on its lamentable human and political rights record. But the issue speaks volumes about the moral integrity of Ethiopians. It is entirely contradictory to insist on democracy in one's country while championing and, in some cases, lionising the leader of a totalitarian regime in another, a neighbouring one with a deep cultural and religious attachment to ours no less. Here or there, people deserve the right to life, liberty and the pursuit of happiness, and we should be able to demand these even from a government that does not serve us. Christian Tesfaye (Christian.tesfaye@addisfortune.net) christian Tesfaye (Christian.tesfaye@addisfortune.net) Is Fortune'sop-ED Editor Whose Interests Run Amok in the Directions of Both Print and Audiovisual Storytelling.